Over the last few weeks, Google Classroom has released a number of interesting features to enhance the overall performance of Classroom. Below is a short overview of these new features. Click on any of the titles below to access more details about the feature in question. To keep track of upcoming Google Classroom updates , make sure you visit this web page frequently. You can easily add questions to your class stream and customize the question settings to allow students to do more with their answers. You can let them edit their answers, see each others’ replies and reply to one another’s answers. As a teacher, you also have the ability to see who have or haven’t answered the questions. 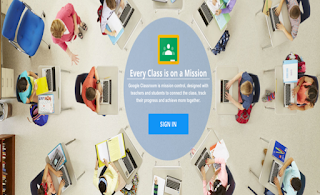 Teachers can attach forms and files to the assignments they create in Google Classroom. To do so, you can either upload your form right from your Drive by clicking on the Drive button . or use the file button to attach an item that is hosted elsewhere. Teachers using Google Classroom on Android are now able to make use of existing materials (announcements, assignments, questions) from both a current or previous class. This feature is also available for Classroom users on the web.